The Bank of Zambia is the Central Bank of Zambia. As a place to work, the Bank of Zambia is focused on attracting, recruiting, developing and retaining a cadre of professionals that hold professional promise to contribute meaningfully to the achievement of price and financial system stability of Zambia. As an Organisation, we believe in empowering future leaders. 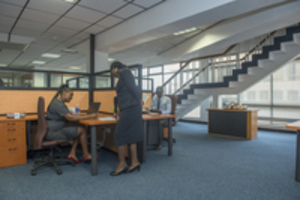 As such, the Bank offers young graduates from tertiary institutions an internship programme that allows them to gain practical skills that they can use in the workplace. We also have a strong culture within the Organisation that is forward looking and encourages creative thinking and innovation. 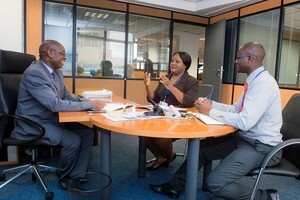 Starting a career at the Bank of Zambia is a competitive process. Whenever there is a vacancy, we advertise such openings in the public and private media and potential employees are subjected to a rigorous assessment process that is transparent and fair. The opportunities occur throughout the year and are in areas such as economics, information technology, banking and settlements, law, accounting, facilities management, human resources and risk. The Bank has recently introduced a Young Professionals Programme targeting fresh graduates with high potential to join the bank in managerial pathways as well as to become central bankers.